The U.S.S.R. adopted sniper rifle of 1963, and still being used. The SVD (Snayperskaya Vintovka Dragunova)-Dragunov Sniping Rifle was the first rifle designed from scratch as a sniper rifle, and it was declared the winner of a shootoff competition by the Soviet military and adopted in 1963. It has very limited similarities to the Kalashnikov series of rifles and is similarly reliable. The SVD can be expected to shoot 2 MOA with quality ammo, though the scope is graduated out to much greater distances. I have some personal experience with an original SVD (circa late 1970’s). While the weapon was a bit crude when it comes to workmanship, it still functioned flawlessly. We shot extensively out to 900 meters. The rifle is extremely deadly, even with cheap surplus ammo, out to about 600 meters. After that, you are pressed to hit consistently. We easily were maintaining sub 2 MOA through our testing. The SVD is not a true sniper rifle by today’s standards, but it performs exceptionally well for what it was designed to do, a weapon to extend the range of the average rifle squad and they have been effectively used in the role all over the world. Thanks, we’ll be adding more details about the SVD in the future. I’ll be sure to mention more specifics about the cartridge. does anybody know what is the twist on the barrel. thank you. For the closer ranges this would work, though the BC’s are different enough on the bullets that the differences increase noticeably at longer ranges. Thanks for your comments. The 10cm at 300m is about 1.25 MOA. We were easily getting sub 2 MOA, with some groups down around that, but not consistently. Remember, these are all mass produced semi-auto rifles. Some shoot better than others. We only had a single Chinese made variant to test, but at least it was a true SVD. If you were able to provide the rifle for a full eval, we would love to run it through a full in depth review and would love to be proved wrong! The match ammo actually performs worse in the svd than the lighter LPS ammo as far as average groupings due to the tighter 1:9.4 barrel twist. 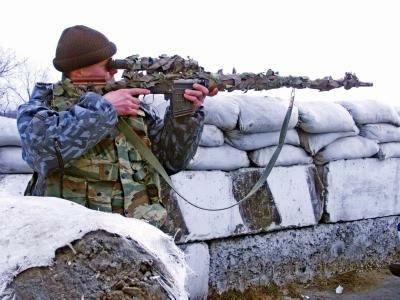 These rifles (SVD) are still being used to kill our boys out in Afganastan. Our enemies are firmadable foes and they practice with a vengeance. Our strategic planning is what keeps then at bay. At times it feels like we are fighting ghost devils…just saying.